This is a fun time of year to create artwork and crafts that celebrate the season. 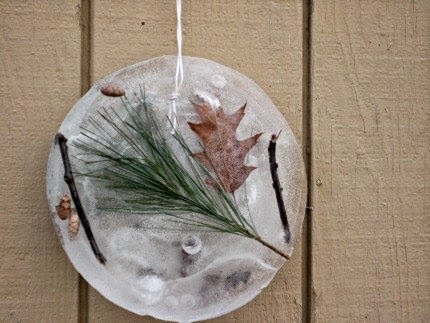 Using nature as an inspiration, we have found some cool art projects to decorate your home and help you get into the spirit of winter! 1. Go outside and gather twigs, leaves, berries, pebbles or any other natural material you would like to include. 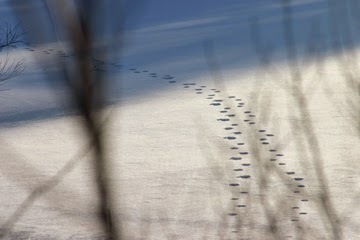 With a fresh snowfall blanketing Vermont, it's a beautiful time to go outside, look for animal tracks in the snow, and take notice of the changing season. Before you head into the woods during this time of year, keep in mind that hunting season may be in progress. Hunting is an annual tradition for Vermonters and an important part of the state’s cultural heritage. Many people view hunting as a way to source their meat locally and build a relationship with the land. Hunting is allowed on all state lands, including State Parks, during the off-season. Though hunting season may be in full swing, the parks are still available for hiking, biking, snowshoeing, or skiing. Please come and visit the parks, but remember to be cautious in the woods. Dress in blaze orange (dogs, too) and make yourself heard.